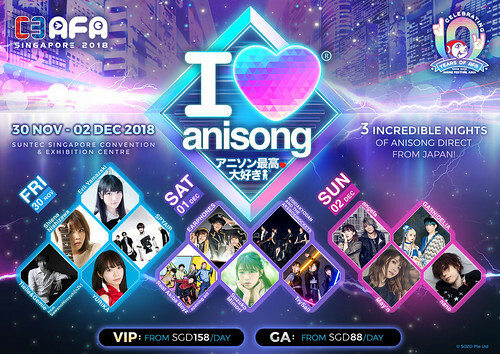 Three more artistes joined the ultimate line-up for this year’s I Love Anisong concert at C3 Anime Festival Asia 2018! And they are… nano, Mimorin and YURiKA!!! 3 nights of exciting concert awaits your visit in just less than 1 1/2 months time! Born and raised in New York, America. nano is a bilingirl singer that can freely swap languages between Japanese and English. Posting videos on YouTube from 2010, the singer has sang various covers of English songs, and have gained popularity not only in Japan, but overseas as well. In March 2012, the first debut album, ‘nanoir’ was released. On the Oricon Daily Ranking chart, it hit 10th place on its release day. In March 2013, the first live concert, ‘Remember your color’ was held, with a full house of 2500 tickets being sold. 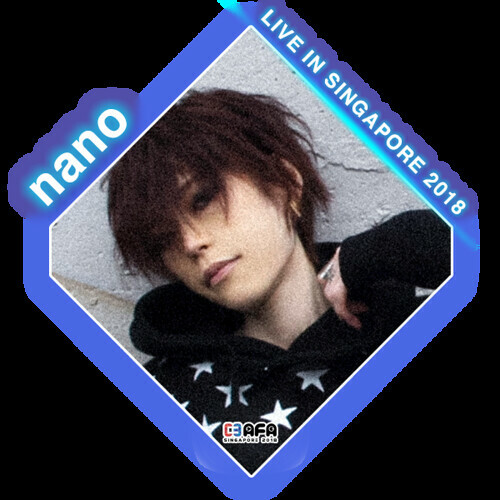 Since then, nano has been active performing live all over the country, and even stepping foot overseas with various one-man live and festival performances. On top of that, nano’s YouTube original contents have gained a total of over 100,000,000 views. The singer has proved an unlimited popularity, with a voice that has no borders. Suzuko Mimori has roles in many TV Anime, including “Tantei Opera Milky Holmes” “Love Live!”, “Yuki Yuna is a Hero”m “Revue Starlight” amongst others. She debuted as a solo artiste in April 2013 with her single, “Aitai yo… Aitai yo!”, and celebrated her 5th anniversary in 2018. Born 29 October, and hails from Hasuda in Saitama Prefecture. She grew up being exposed to music, having started learning piano from the age of 4. 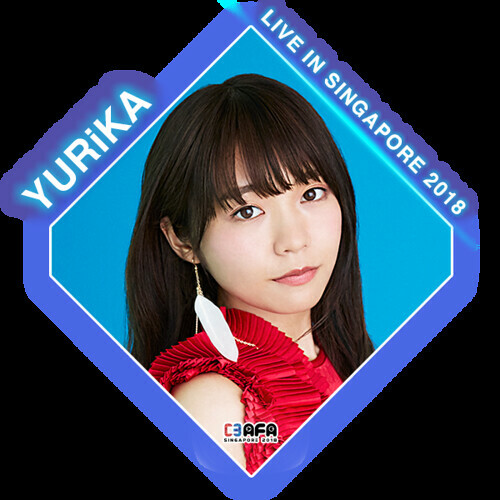 When she was in her final year of elementary school, she was impacted by how anisong was filled and abundance of strong messages, and thus decided to become an anisong artiste one day. In middle and high school, she trained her vocals in the chorus club. She then took part in the Anison Grand Prix for the first time in her final year at high school. After that, while juggling school as well as her live singing activities, she attained 6th place in Nippon TV’s Kashou-Ou competition in 2014 as well as winning NHK’s first ever ‘Anisong no Nodo Jiman G” in the same year. In 2016, she won NHK’s “Nodo Jiman” competition held in Sakado city. She then passed the first TOHO animation RECORDS next generation artiste audition in 2016, and was subsequently signed to TOHO Entertainment. She performed “Shiny Ray” the opening theme song to the TV Anime “Little Witch Academia” which started its broadcast in January 2017. The song was released as her major debut on 22 February 2017. With an unwavering gaze and a voice that reaches everywhere, she is a new star in the Anisong world. 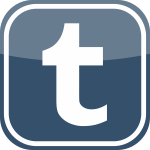 This entry was posted on 16th October, 2018 by yunamon. 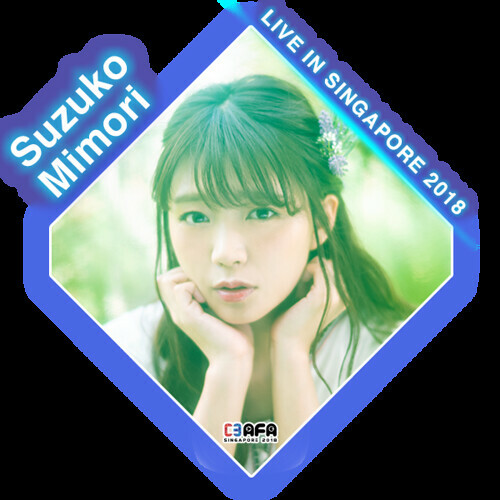 It was filed under C3AFA2018 and was tagged with AFA, angela, Anime, Anime Festival Asia, C3AFA2018, Concert, Cosplay, Earphones, Event, Figures, GARNiDELiA, Kishidakyodan and the Akeboshirockets, May'n, Mimori Suzuko, nano, Nishizawa Shiena, Otaku, Real Akiba Boyz, Seiyuu, Singapore, SOZO, Spyair, Tielle&Gemie, Trip, TrySail, Yamazaki Erii, YURiKA.